In the entry level you start with 125cc Shifter Kart. Here the basics of racing before you learn behind the wheel of Formula cars sets. Because here, similar to the one-make series, absolute equality prevails, your skills is critical. We recommend you to brake as late as possible to as much momentum to take with front curves. Use also, if possible the slipstream. Since Karts have an extremely high traction is partly possible without braking, so "let roll" through targeted very quickly to come curves. The starting grid for the sprint race is random. Based on the target position of the Sprint race, the starting position for the main race will be decided. When you reach the goal first, thus you start to rank 1 in the feature race. The sprint race will begin with a standing start, whereas the main race will start flying. For the fastest lap, there are 5 bonus points per race. In this class, you sit in the much faster 250 Super Kart. The principle is exactly the same as in the 125cc kart. Very late to overtake brake before bends to Another, or two opponents and let roll the Kart prefer instead to slow down. The starting grid for the sprint race is determined by the best qualifying time. Based on the target position of the Sprint race, the starting position for the main race will be decided. When you reach the goal first, thus you start to rank 1 in the feature race. The sprint race will begin after a formation lap with a standing start and the main race starts after a formation lap with a flying start. The pit lane is open in all events for repairs, tire changes, etc..
For the fastest lap and the fastest qualifying there are each 5 bonus points. The Formula rookie is your entry ticket to the world Formula and transported you right into the cockpit of an "open-wheelers". Race in this series are a little more difficult, because Formula cars have an enormous output and are very agile. The controller is initially so very used to, as it partially can leave you on the ideal line display. Before you start your career, we recommend you in the mode "Free Training" some tests with the Formula rookie to complete because the handling is very different from "normal" racing car. It is also important here again the late braking before bends around enough momentum to take. The slipstream is here of essential importance, as it often leads to head-to-head race. The starting grid for the first race is determined by the best qualifying time. With the second best qualifying time of starting position for the second race is determined. Both races begin with a standing start. For the fastest lap and the fastest qualifying there is one bonus point. The Formula Gulf cars differ compared to Rookie car next to the fortuitous performance by significantly more downforce which means that higher cornering speeds are possible. Before you start a career in Formula Gulf, we would recommend you to take a test drive. These vehicles are very agile and cannot be compared from a handling aspect with street cars. The starting grid for the first race is determined by the best qualifying time. Based on the target position of the first race, the starting position for the second race will be decided. The pit lane is open in all events for repairs and tire changes. Refueling is allowed only in the training. There is not much to say to Formula C. The vehicles are even stronger than those of the Gulf or rookie class and offer even more downforce. Again, it is essential that you familiarize during test drive. These cars react to the smallest steering movement and have a tremendous amount of traction. We recommend you the same driving tips like Formula rookie and Formula Gulf to consider. The starting grid for the sprint race is determined by the best time in the 1st qualifying. Based on the best time of 2 qualifies the starting position for the main race will be decided. Welcome to the second strongest Formula class. The vehicles in this series are also more powerful and even more aerodynamic. Here it is definitely necessary that you familiarize during test drive. These cars react to the smallest steering movement and have to leave the car to erupt at the slightest wrong dosage despite their enormous traction enough force. We recommend you the same driving tips as in the previous Formula contributions to be considered. The starting grid for the main race is determined by the best time in qualifying. On the basis of the target position in the sprint race, the start position for the main race will be decided. Both races begin with a standing start. The pit lane is open in all events for repairs and tire changes. Refueling is allowed only in the training. In the feature race must lodge its a pit stop to leave to make a tire change. Ride it to the end of the race is not to the box, you will be disqualified. Your engineer will give you know when the pit lane is open. We recommend you to go out in the first round as much advantage as possible in order to engage a pit stop in the second round. You shall indeed outdate, but that's not a problem because the later enemies have in the box and you simply can go merrily away. For the fastest lap will get you 2 bonus points per race and for the fastest qualifying gets 4 bonus points. The Formula A is the highest "Open-Wheeler" racing series. The most powerful come into its Formula cars against each other. The driving behavior can be compared to that of the other Formula series. Due to the good aerodynamics and the consequent output incredible cornering speeds are possible. Unfortunately, the ideal Linen display reacts little to hardly and recommends you to slow down too early. In addition, you have to careful with the "accelerator" bypass and avoid as far as possible fully opening the throttle, because the vehicles have so much power that they would break out immediately. To familiarize yourself with the handling, we recommend you a test drive in the "Free Training" mode to make before you start your racing career. As always, use the slipstream, late braking before bends and exploit the enormous grip for fast cornering. The starting grid for the race will be determined by the best qualifying time. The race begins with a standing start. The pit lane is open for tire changes and repairs in each event. Refueling you are allowed but only in training. In this class there are no bonus points. This is a so-called one-make cup. Has the peculiarity that only vehicles of the same type are permitted. In such a race, it depends on your driving skills, because all the cars are the same and thus equal opportunities is absolute. Essential is here again the use of the slipstream and the late braking to still overtake one or two opponents just before the bend. The starting grid for the first race is determined by the best qualifying time. With the second best qualifying time, the starting position for the second race will be decided. For the fastest lap, there are 2 bonus points per race. The GT class 5 is the entry into the grand touring series. This is a one-make series. This means that all drive the same vehicle, namely the Ginetta G40 Junior. The cars are due to their low weight, very good to get you started in Project Cars suitable. Since the power is rather low, we recommend you before bends late to brake and take enough momentum with. Again, you should use the slipstream because the vehicle is accelerating quite slow. The starting grid for the sprint race is determined by the best qualifying time. The second best qualifying time is decisive for the starting position in the main race. Both races begin with a standing start. The pit lane is open for tire changes and repairs in each event. Refueling you are allowed but only in training. In addition, you must perform a pit stop, otherwise you will be disqualified. We recommend you in the first round as much advantage as possible to go out to go in the second round in the Box can. Since your opponents also have in the box over long or short, you can drive off them according to your stop. For the fastest qualifying there is a bonus point. For the fastest lap, there is one bonus point for each race. In the GT 4 series you step among other things racing cars such as the BMW M3 GT4 and the Ginetta G55 GT4 against each other. Despite the good performance we recommend you here again to brake late before curves and to take enough momentum with. In addition, you should use on long grades the slipstream to overtake your competitors easily. This is to race cars, as you already know from other racing games. This means that you do not expect any surprises in terms of performance and handling, and ye shall find along well even without prior testing. The starting grid for the sprint race is determined by the best qualifying time. The best time in the second qualifying is decisive for the starting position in the main race. Both races begin with a flying start. The pit lane is open for tire changes and repairs in each event. Refueling you are allowed but only in training. In addition, you must perform a pit stop, otherwise you will be disqualified. We recommend you in the first round as much advantage as possible to go out to go in the second round in the Box can. Since your opponents also have in the box over long or short, you can drive off them according to your stop. For the fastest qualifying there is one bonus point. Welcome to the GT-premier class. 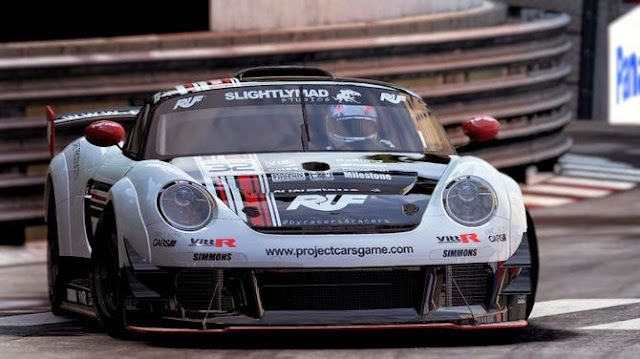 In this series, you expect purebred GT racer as the SLS AMG GT3, or RUF RGT-8 GT3. This in our opinion the best vehicle for this class is the SLS AMG GT3. Despite the good performance we recommend you here again to brake late before curves and to take enough momentum with, in order to subsequently get acceleration out of bends faster. Also you should again use on long grades the slipstream to overtake your competitors easier to can. Thanks to the good aerodynamics and other modifications quite high cornering speeds are mobile. Do not be misled by its red Ideal Line, because these often wrong braking point sets. In this class is, as the name suggests, to endurance racing. Here go up to 44 vehicles in different classes at the same time on a route to the victory. The principle is the same as in Le Mans or in the VLN, the one or the other of you probably already know of. You are entering into this class with cars like the Aston Martin V8 Vantage or the Oreca Nissan compete against each other. What is important is not the overall victory but that you win in your group. All other vehicles (eg Audi R18 ) can also be found on the track, but have with your group to do nothing and have therefore no direct competitors. So you can leave them safely pull over. The vehicles of the Endurance group are very similar to those of the GT3 class, so we have taken the advice of this group. Despite the good performance we recommend you here again to brake late before curves and to take enough momentum with, in order to subsequently get acceleration out of bends faster. You should again use on long grades the slipstream to overtake your competitors easier to can. Thanks to the good aerodynamics and other modifications quite high cornering speeds are mobile. Do not be misled by its red Ideal Line, because these often wrong braking points sets. The starting grid for the race will be decided on the basis of the best qualifying time. Pit stops for repairs, tire changes and refueling are possible during all events. For the fastest qualifying there is a bonus point. Points are also doubled in championship races. In this racing class you go with vehicles such as the Radical SR3 RS to the starting line. The cars are very light, but still relatively powerful. The driving behavior is similar to that of a kart. Due to the high performance vehicles can break control even when switched traction. Therefore, particular caution is required on a wet track. We recommend you nonetheless to slow down again until late in front of curves and to take enough momentum with. Again, you should use the slipstream to better overtaking can. A pair of practice rounds at the "Free Training" would also in this class of advantage. The starting position for the first race is determined on the basis of the best lap time in qualifying, whereas the grid for the second race on the basis of the second best lap time is determined. Each race begins with a standing start. The pit lane is open in all meetings of repairs, tire changes and refueling. There is one bonus point for fastest Qualifying and the fastest lap in each race. 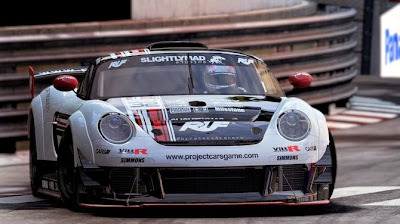 Ride in the prototype 2 series with their more powerful cars such as the Caterham SP / 300.R for the championship. This car ride is similar to the prototype of the class 1, but the cars are a little faster. The ride can be compared due to the low vehicle weight with a kart. Therefore, high cornering speeds are possible without coming off the track. We encourage you to familiarize yourself beforehand with the vehicle in the "free practice" familiar, because the handling is still uncommon compared to GT cars. As always, slow down until late in front of curves and take enough momentum with. Again, you should use the slipstream to better overtaking can. In this class, you step with fictitious cars like the RWD P20 LMP2 or Marek RP 219D LMP2 against each other. These two vehicles are very powerful and have due to their good aerodynamics a high output. This means that you can very quickly turning corners. The problem, however, is the Ideal Line. This unfortunately constantly displays a braking point, which is far too early and you partially forces again to accelerate. We recommend you previously extensively in "free practice" to train, since these cars are just not easy to handle in higher difficulties. When ye have done unto you, you should also in this class before bends late yet to overtake brakes to one or two opponents. Grade on long straights is the slipstream essential! Unlike the previous classes you complete here no certain number of laps, but ride as long as until the time expired. The duration of the race can you set before the race on the calendar. Welcome to the ne plus ultra of all racing classes. You start your career in this class with the Marek RD 339H LMP1 or RWD P30 LMP1 . The vehicles are similar in terms of handling very their little brothers from the LMP2 class. They are, however, far above them, which extremely high top speeds means. We recommend you to make before using the vehicles 'free practice' familiar, since the handling uncommon for drivers who have not graduated before the LMP2 or prototype classes. As always, slow down until late in front of curves and take enough momentum with. Again, you should use the slipstream to better overtaking can. Grade on long straights is the slipstream essential! Unlike the previous classes you completed here no certain number of laps, but ride as long as until the time expired. The duration of the race can you set before the race on the calendar.